Letter sent to new Coalition Government health ministers and our local MP: Andrew Lansley, Earl Howe, Paul Burston, Simon Burns, Anne Milton and Neil Carmichael. The previous government’s water bill of 2003 allowed for the fluoridation of public water supplies to be implemented on the request of a Primary Care Trust (P.C.T.) to the appropriate Strategic Health Authority (S.H.A.) , if after a ” Public Consultation” the S.H.A ruled in favour. Strict guidelines are laid down for public consultation which include a fair presentation of both sides of the arguments. As you will know the South Central Strategic Health Authority voted unanimously to fluoridate the drinking water of parts of Southampton and South Hampshire, even after 72% of consultation responses from 10,000 people were against fluoridation. The glossy brochure issued by NHS South Central , even after some modification following protests of strong bias in favour of fluoridation from the “Hampshire against Fluoridation” (H.A.F.) group, still contained bias and major errors in critical areas such as the decayed ,missing, or filled teeth (d.m.f. ), quoted as 1.76 for the average 5 year old in Southampton, compared to the national average of 1.47 teeth. The NHS Dental Epidemiology Programme for England Oral Health Survey for 5 year old children 2007/2008 showed the d.m.f. in Southampton to be on a par with the “national average”. The suggested costing was also found to have been underestimated. The ultimate devaluation of the brochure was on page 3 paragraph 1.7 which stated “This document……sets out all the facts about fluoridation”. 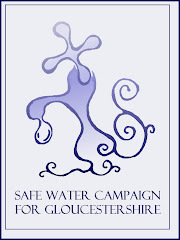 The chief dental officer of the previous government issued documents strongly recommending P.C.T.’s to push for the fluoridation of water supplies and the then government was prepared to spend millions of pounds on implementing this. This policy of enforced medication of the population we consider to be morally indefensible and in no way in keeping with a modern democratic country. We warmly welcome the move of the new coalition government towards greater individual freedom and responsibility and given the increasing volume of evidence of the harmful effects of fluoridation, we would be very interested to hear what revised policies or changes in the law you are proposing in this important area of public health?